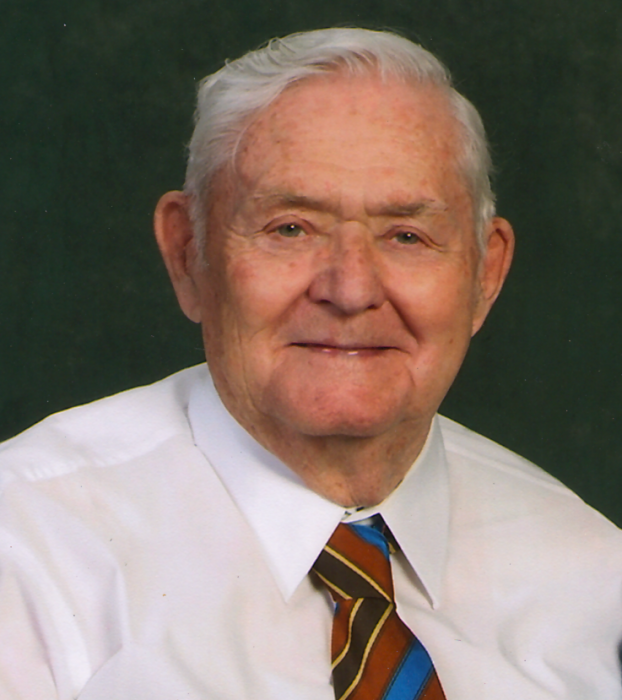 Earl Eugene Woodring 92, passed away Thursday morning August 23, 2018 at Health Center Northwest in Kalispell, Montana. He had been a resident at the Veterans’ Home in Columbia Falls, Montana since November 28, 2017. Earl was born January 18, 1926 to Charlie Benjamin and Mary Susan Woodring in Hogoton, Kansas. Earl was raised in Kansas and learned about farming at an early age. He shared his stories of herding cattle at age five on horseback and why he only had an eighth-grade education. At 17 he talked his mother into signing enlistment papers and he joined the Navy for World War II. He served in the Navy from 1943 to 1946 on the USS Token AM 126. The Token was a minesweeper (a ship that would use nets to collect floating mines). Earl said he got to see a lot of the world on that ship, namely, the Philippines, Hawaii (Pearl Harbor), Japan, China, Espiritu Santo and Guadalcanal, Sydney Australia (one of his favorite stories), the Solomons, Palau and Ulithi groups, Manus, Leyte. Earl still had shrapnel in his neck from a kamikaze attack on the Token while he was on the guns. On September 2, 1945, the USS Token, Earl and his shipmates, was the second ship to enter Tokyo Bay. It was a scary and exciting time for Earl as the ships that entered were unsure whether word had reached everyone that the war was over. His honors included the American Campaign, Asiatic Pacific Campaign, China Service, Occupation Service and World War II medals. Earl came back to Kansas and married Louise Grothe about a year after his service. Earl and Louise resided in Liberal until 1954 and then moved to Denver, Colorado. They stayed in Denver for ten years and decided it was becoming too crowded. Earl had taken an interest in Montana when he traveled through it on a troop train in 1943 headed to boot camp in Farragut, Idaho. Earl and Louise bought property in 1963, moved to Kalispell in 1964 and never looked back. They were married for 70 years. Despite Earl’s eighth-grade education, he excelled at everything he did - he was a smart man. He had a successful mechanic/welding shop in Denver, owned the roundtop by Raceway Park and had a mechanic shop there, worked for Plum Creek and was one of the first millwrights sent to mechanic school to work on the Dinos there, worked for the Flathead County Road Department, had an excavating business and then ventured into the gravel business; no one could make gravel like Earl. Earl was so proud of his legacy and what he accomplished in life. He was a good provider to his family and there was a lot of fun travels together, be it a weekend at the lake, salmon snagging, hunting excursions, or a trip in the motorhome. Earl and Louise logged a lot of miles all over the United States, enjoyed family reunions, class reunions, mine warfare reunions, visits with family in Oklahoma and Kansas and trips with Sully and Rochelle Sullivan and Bob and Dorene Lanning. Earl was preceded in death by his parents, wife, Louise and son, Michael, his siblings, Charles “Junior” Woodring, Hallie Nix, Dee Burton, Neoma Young and Georgia Zinn. Earl is survived by his remaining children: Trace, Kim, Eric (Kami) and Sue Cameron (Jim), as well as honorary daughters, Penny Woodring and Kelli Stanoff; grandchildren and step-grandchildren, Heather (Ryan) Furler, Mat (Angie) Woodring, Stephanie Woodring, Hayden Woodring, Grace Woodring, Dana (Mike) Winn, Garret McCallister, Clay McCallister, Parker Cameron, Story Cameron and Cable Cameron; great grandchildren, Maryah and Maybree Winn, Dillon Garnier and Kora Woodring; friend, Donald “Sully” Sullivan - thanks for all that bacon, but mostly your friendship!